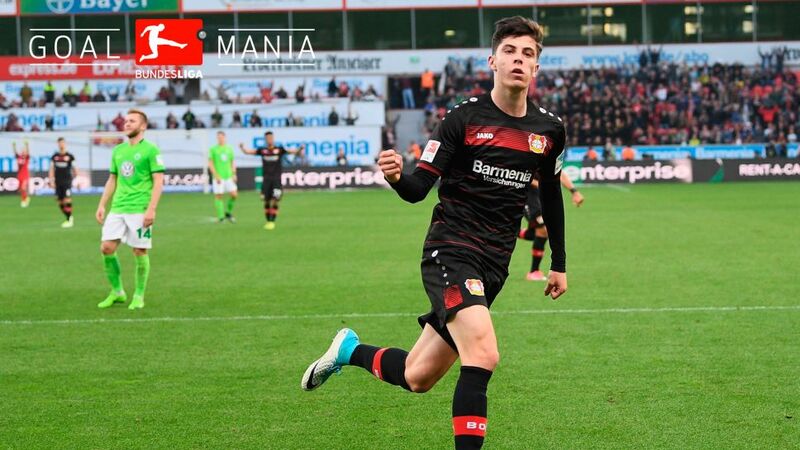 Bundesliga | Bayer Leverkusen's Kai Havertz: The next Michael Ballack? Bayer Leverkusen's Kai Havertz: The next Michael Ballack? Bayer Leverkusen had just relinquished a two-goal lead to fall 3-2 behind to Wolfsburg as GOALMANIA really kicked in during the final fixture of Matchday 26. A seven-minute total transformation in fortunes could have sent Leverkusen's heads dropping, but that did not affect the youngest head on the field. Kai Havertz underscored his glowing – and growing – reputation with a stunning strike out of nothing. The fans who had chosen to head for the exits following Mario Gomez's third goal were halted in their paths by a lightning strike; a bolt from the blue. Since then, Havertz has missed just three Bundesliga games. On two of those occasions, he was lent back to the under-19s, which he had effectively bypassed on his way to first-team fame, and while with them, he also shone on the international stage in the UEFA Youth League, where he certainly made an impact. "I forget the name right now, but there's a Bayer Leverkusen player who has played in the first team and then wasn't able to play against Atleti [in the Champions League last 16]," said Real Madrid's assistant coach Alberto Garrido to UEFA.com when asked if any one player had caught his eye in particular. "Yes – it's Kai Havertz – I think he's a player who has really developed throughout the competition."